You searched for which does not fit your . We've redirected you to 126-424, which has the proper fitment. 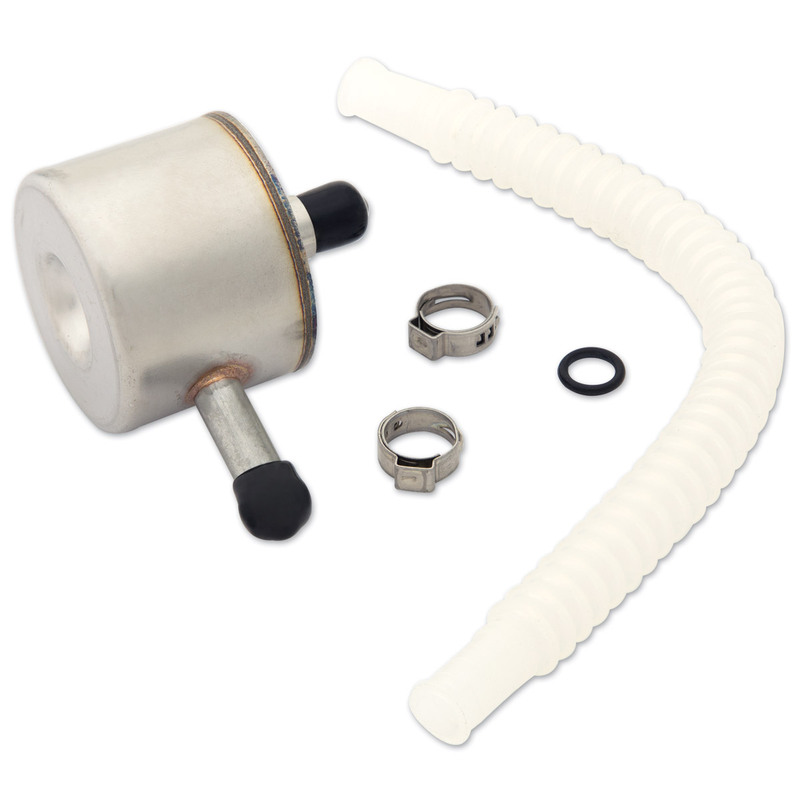 The Drag Specialties Fuel Filter Kit contains an OEM-style replacement fuel filter essential to keeping your motorcycle running in top condition. This replacement fuel filter kit includes everything you need to keep your bike at its best performance, including filter, fuel line, and clamps. parts seam to be exactly the same as OEM and are less than half the price than the dealer. I replaced both hoses which cured the hissing in my tank and the hard starting problems. the lower hose had pin holes. thanks J&P, always great service. Fits nice, just like OEM. I used this filter to replace the one on my kids 2000 road king. The 2000 models filter is an obsolete part that's impossible to find. With slight modification to the mounting bracket on the canopy this filter works perfectly. The fuel filter fit as advertised...Easy job!